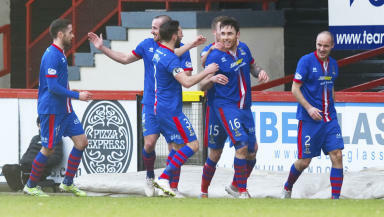 Goals from Marley Watkins and Greg Tansey ensured Inverness' name will be in the hat for Monday's draw. Inverness took their revenge for previous defeats at the hands of Partick this season by dumping them out of the Scottish Cup. Thistle had the better of the other two meetings between the sides but failed to match those efforts in the fifth round tie. Goals from Marley Watkins and Greg Tansey ensured Inverness' name will be in the hat for Monday's draw, despite Lyle Taylor marking his Partick debut with a goal in the 2-1 defeat. Taylor had to settle for a place on the bench after sealing a second loan move to Firhill on transfer deadline day from Scunthorpe and at least managed to make a positive contribution on what was a disappointing day overall. The Highlanders had headed to Glasgow seeking their first win of the season over Thistle, who had claimed impressive 3-1 and 4-0 victories already this term. Watkins passed up a great chance to open the scoring after 14 minutes when he was released through on goal by Nick Ross with only the goalkeeper to beat but fired straight at Paul Gallacher. But he was celebrating just two minutes later as the visitors surged into the lead. A poor ball from Stephen O'Donnell intended for Abdul Osman was collected by Ross Draper instead and he teed up the shot for Watkins. And there was no mistake this time as he produced a fine finish by dispatching into the far bottom corner. Watkins could have added to his tally moments later when he was again allowed time and space to break through on goal only to drag his effort just wide. Partick were still trying to get a grip on the game when they found themselves further behind with 27 minutes on the clock. Ross won the ball in the middle of the park before laying off for Tansey and he did well to hold off a couple of Thistle players before rifling home. The home side did enjoy an improved spell before the break but Kallum Higginbotham was twice frustrated in his attempts to haul them back into the tie with efforts that were blocked by the goalkeeper. Higginbotham then made way for the introduction of Taylor at half-time, with James Craigen also thrown into the action for Gary Fraser. Stuart Bannigan could have provided the lifeline but he failed to capitalise on a decent opportunity early in the second half by firing straight at Ryan Esson. Instead, it was Taylor who marked his second debut for the club with a goal after 67 minutes. Ryan Stevenson was the provider and Taylor left Esson with no chance with a fierce shot from distance. 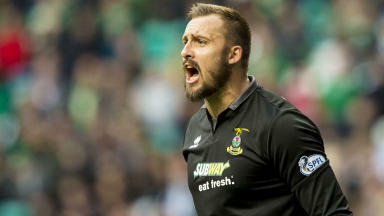 The goalkeeper was then called into action to produce a superb save to prevent Dan Seaborne's bullet header hitting the back of the net in injury time as Inverness held on.